Capital Business Solutions recently provided services for Financial Edge accounting software to the University of Virginia Foundation. Working with Margo Eppard, Accounting Manager for the University of Virginia Foundation, CBS helped setup a new database and dashboard for another school that is moving into the foundation accounting services function. 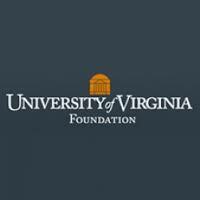 Who is the University of Virginia Foundation? The University of Virginia Foundation supports the University of Virginia in its efforts to maintain the distinction of being one of the top public universities in the nation by providing innovative, yet prudent management of financial and real estate assets on behalf of the University. Specifically, The Foundation uses and administers gifts, grants, and bequests for the benefit of the University; provides administrative and financial services to University entities, University-related foundations, or other entities involved in activities that support the University; and engages in matters pertaining to real property for the benefit of the University. Which CBS Consultant is working with the University of Virginia Foundation? Christy Anderson – Senior Consultant and Implementation Specialist Christy has more than 15 years of experience with the Blackbaud products, having worked at Blackbaud from 1994-2001 where she was a Senior Support Analyst and Software Trainer. Christy’s thorough product knowledge and training abilities made her a great resource for modifying and restructuring training workbooks; providing internal training to new analysts and coaching new trainers on their presentation skills. Christy started with Capital Business Solutions in 2001 where she currently directs client implementations for Capital Business Solutions and provides an in depth understanding of non-profits along with a wealth of Blackbaud experience for our clients. If you are interested in finding out more about customized Nonprofit Accounting Software Training and Consulting call Andy at 888-366-7527 x26 or email athorson@capitalbusiness.net. You can also use our contact us form to request a free no obligation quote.